Police laser- the LIDAR XLR and XS from Stalker Radar. The New Stalker X-Series LIDAR - XLR and XS from Applied Concepts. Small, lightweight, and powerful. Superior range, fast target acquisition, and solid tracking. For applications where long range isn't necessary, the Stalker XS excels in close-in urban settings. The new snap-in Li-Ion battery handle provides ample power to last two or more shifts. Plus, the battery can be expected to last through more than 500 charging cycles. 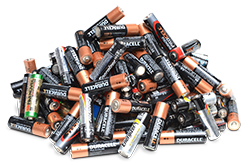 If you compare Stalker’s rechargeable, high-capacity battery handle to replacing set after set of AA-cells, the economy becomes clear - Stalker’s Lithium Ion battery handle is dramatically cheaper to use over its lifetime. Plus, it lasts several shifts. And, you’re not introducing dangerous chemicals to your local landfill. The Stalker X-Series LIDAR packs the industry’s most advanced technology into the industry’s smallest package. Plus, the new C-Thru Mode gives the XLR the ability to track moving vehicles through obstructions, school and construction zones, and in the worst weather conditions. The Stalker LIDAR XLR and XS are the smallest and lightest hand-held, gun-type lasers on the market today. At a mere 2.3 lbs. including removable/rechargeable battery handle, the X-Series may be lightest of all the hand-helds, but it’s no lightweight. The new snap-in Li-Ion battery handle provides ample power to last two or more shifts. Plus, the battery can be expected to last through more than 500 charging cycles. Target acquisition is 1/3 second. The X-Series Long Range (XLR) is the best choice for targets as far as 4,000 feet away while the X-Series Standard (XS) is ideal for metropolitan and suburban departments. The C-Thru Mode learns where your obstructions are, and once learned, the unit will ignore trees, leaves, bushes, poles and other obstructions automatically. 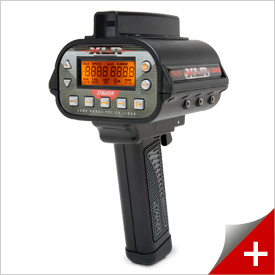 This allows the operator to easily define a specific such as a school zone or reduced speed construction zone. The unit will then only obtain speeds while the target vehicle is in that area. The X-Series LIDAR now have software that not only detects but ignores jamming pulses and continues to provide accurate speed tracking. Stalker products are priced competitively and built to last. But should your X-Series LIDAR ever need repair, you can count on a fair price based on your LIDAR’s specific needs, not a one-charge-fixes-all blanket price. That’s what we mean when we say that Stalker has the lowest cost of ownership in the industry. New improvements in the X-Series Lidar allow the operator to continually track a target vehicle, even through the windshield of the patrol vehicle without having to place the unit in a special mode. This offers the best “thru-windshield” targeting range of any Lidar unit in the field today. Since most laser operators also operate radar, the X-Series LIDARs generate a continuous Doppler-type audio tone which correlates to the target speed. Type Handheld LIDAR offering Tracking mode, Single-Shot mode, and Time/Distance mode. Time/Dist. trigger mode: Separate trigger depressions when target enters and exits speed zone. Remote Trigger: Remote trigger signal available through I/O Port. Target Speed Tone: Variable audio tone corresponding to target speed. Target Return Tone: No tone when beam is off target; tone repetition increases as beam moves into target and return signal quality increases. Pulse Width: < 30 nsec. Beam Divergence: < 3 mrad FWHM. The XLS is a FDA/CDRH CLASS 1M Laser Device and complies with IEC 60825-1:2007-03. Ed 2.0 which means it is eyesafe by both U.S. and European standards.